When you have the right type and amount of insurance, you can relax knowing that whatever comes up, is handled. As a business owner, you need to consider general business insurance, professional liability insurance, employment practices insurance, special events insurance, and more. You also need to consider personal lines of insurance, such as insurance to care for your home, your vehicles, your income, and most importantly to insure your life, to care for your family and partner should anything happen to you. 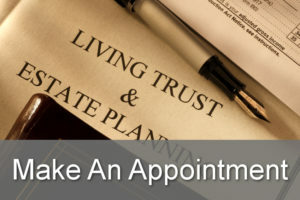 We will support you to get just the right amount and type of insurance in place by recommending an trusted insurance advisor if you do not already have one, reviewing what you already do have in place, and being the trusted counselor you can turn to for an objective, third party review of your coverage – we do not get paid a commission on your insurance, so you can trust our unbiased guidance. During our LIFT Foundation Audit, we will review your insurance and either confirm you are set up right with the right amounts and types of insurance, or make recommendations if there are holes. During our LIFT Start-Up Session, we will discuss insurance so you know what you need and who to contact to get it all set it up right.